Where is the Palm Cockatoo from? The Palm Cockatoo comes from Australia and New Guinea. It lives mostly in rain forests. What does the Palm Cockatoo look like? 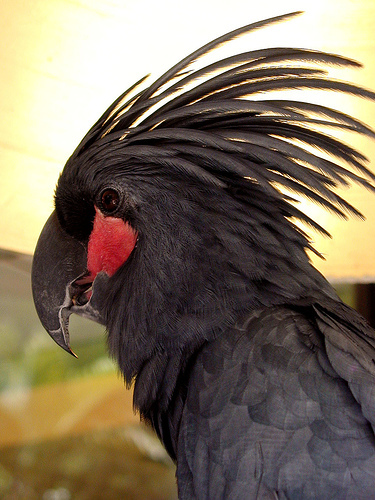 The body and head of the Palm Cockatoo is dark grey to black. It’s about 49-68 cm. long and weighs 500-1,000 gms. It is the second largest Cockatoo, the largest being the Hyacinth Cockatoo. 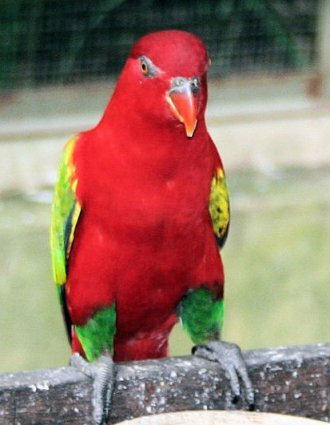 The red cheek patch will change to yellow when the bird is exited or pinkish when stressed. Palm Cockatoos have very large beaks with which to crack nuts. The crest is large and matches the body color. What is the personality of the Palm Cockatoo? Palm Cockatoos need a lot of attention, but they are very loyal to their humans and will bond closely with them. They are loving and devoted pets, intelligent and lively. Early, consistent training is very important to avoid any bad behavior developing. 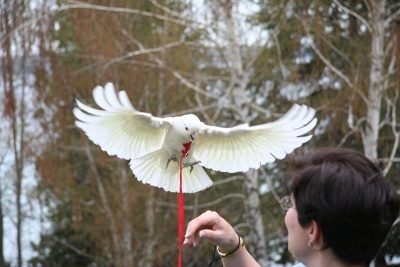 Properly raised Cockatoos are affectionate and entertaining and of course they can talk. How do I care for and feed the Cockatoo? Your Palm Cockatoo needs as large a cage as you can provide. Lots of toys, bird-safe of course, should be available for your bird to enjoy. Your Cockatoo will want to spend time with you out of the cage and you can provide a perch for it in a convenient place. 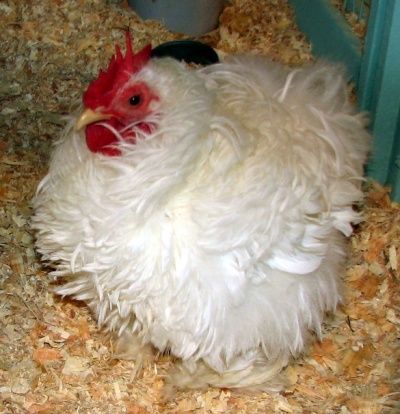 Your pet food provider will have pellets and seeds specifically designed for Cockatoos. The diet can be supplemented with vegetables, greens, some fruit and whole nuts. Small amounts of cooked meat or chicken, eggs, and cheese can be added to the diet. Fresh water should be available at all times.